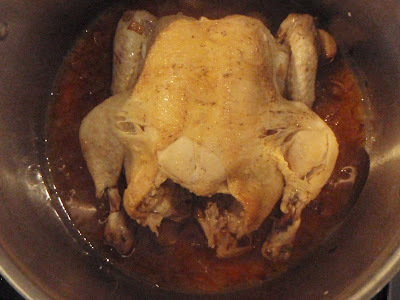 This is one of the easiest ways to cook a whole chicken. The result of very minimal work is extra juicy, tender meat. How can you argue with that? My pal Fitzy is always complaining that she just wants recipes with only a few ingredients. Here's one for Fitzy and she had better get cooking!! 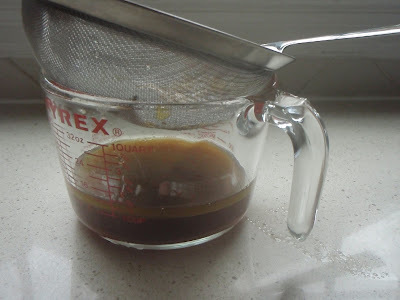 Here is the original recipe from America's Test Kitchen. 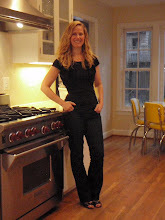 Sometimes it is hard to access their recipes because they require a monthly fee. This was one of the "free" recipes but not sure the link will work unless you register on their site. Adjust oven rack to lowest position and heat oven to 250 degrees. 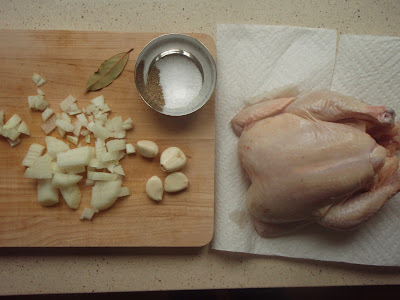 Pat chicken dry with paper towels and season with salt and pepper. Heat oil in large Dutch oven over medium heat until just smoking. 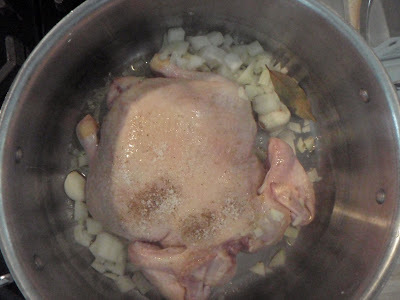 Add chicken breast-side down; scatter onion, garlic, bay leaf, and rosemary (if using) around chicken. 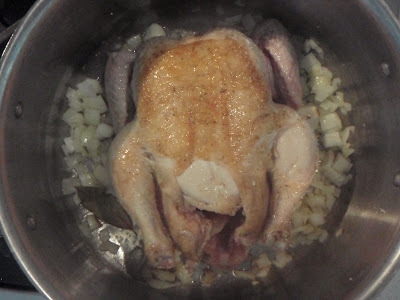 Cook until breast is lightly browned, about 5 minutes. 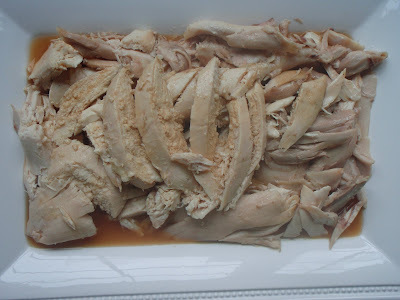 Using a wooden spoon inserted into cavity of bird, flip chicken breast-side up and cook until chicken and vegetables are well browned, 6 to 8 minutes. 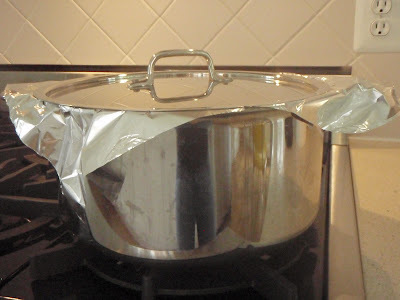 Remove Dutch oven from heat; place large sheet of foil over pot and cover tightly with lid. 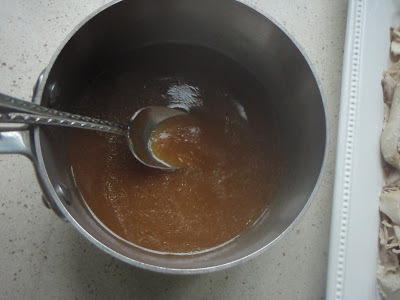 Transfer pot to oven and cook until instant-read thermometer registers 160 degrees when inserted in thickest part of breast and 175 degrees in thickest part of thigh, 80 to 110 minutes. Transfer chicken to carving board, tent with foil, and rest 20 minutes. 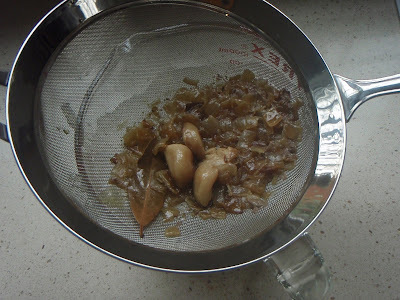 Meanwhile, strain chicken juices from pot through fine-mesh strainer, pressing on solids to extract liquid; discard solids (you should have about 3/4 cup juices). 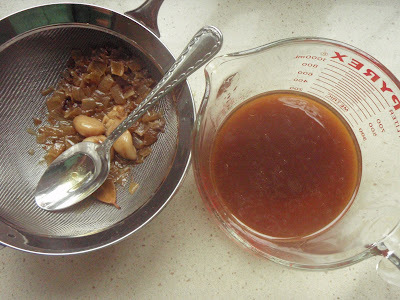 Spoon off the layer of fat and discard. 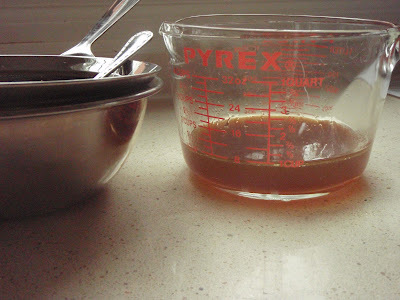 Allow liquid to settle 5 minutes, then pour into saucepan and set over low heat. 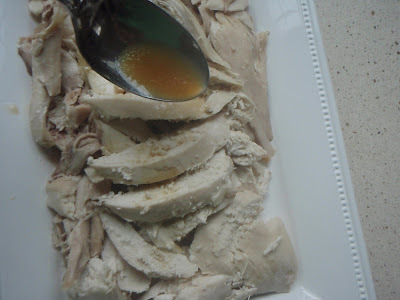 Carve chicken, adding any accumulated juices to saucepan. 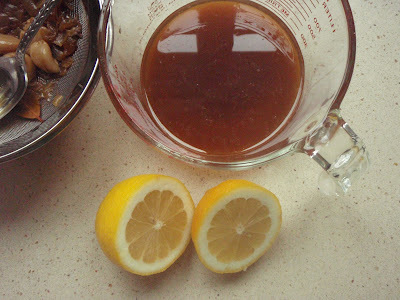 Stir lemon juice into jus to taste. Serve chicken, passing jus at table.